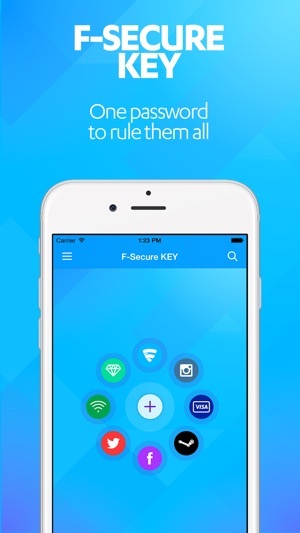 F-Secure KEY protects and remembers all your passwords and pin codes. Just set your Master Password, and that is the only password you'll ever need to remember. KEY is brought to you by F-Secure, with over 30 years of experience in cyber security. 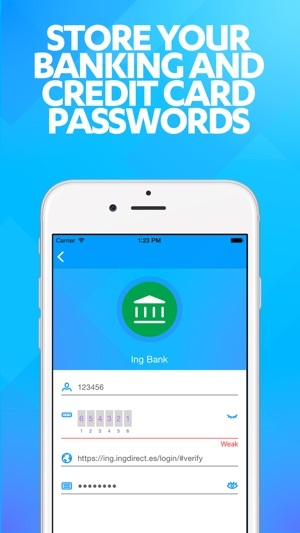 •	PASSWORD STORAGE: Store all your passwords, logins, emails, PIN codes, credit cards and online banking credentials securely. •	PASSWORD STATUS: Generate new strong passwords and improve your passwords by grouping them based on their quality. •	BREACH ALERTS: Breach alerts notifies you when a popular service has been hacked resulting in potential risk of your own account being compromised. •	AUTO-FILL: Fill in your usernames and passwords easily in apps and browsers (iOS 12). 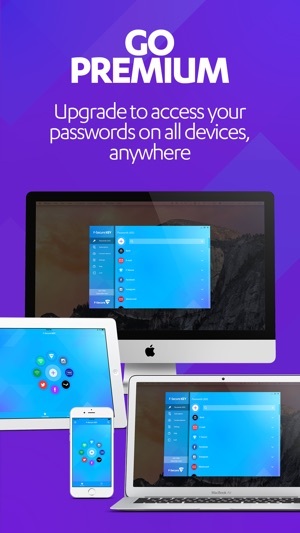 •	GO PREMIUM: If you choose to buy premium you can sync all your passwords securely across all your devices making it easier to access them no matter where you are. Apple rules for auto-renewable subscription: Payment will be charged to iTunes Account at confirmation of purchase and subscription automatically renews unless auto-renew is turned off at least 24-hours before the end of the current period. Account will be charged for renewal within 24-hours prior to the end of the current period, and identify the cost of the renewal. Subscriptions may be managed by the user and auto-renewal may be turned off by going to the user's Account Settings after purchase. No cancellation of the current subscription is allowed during active subscription period. You need passwords everywhere nowadays, and it’s difficult to remember them all - most people solve this by using the same password for everything, or by using predictable passwords. 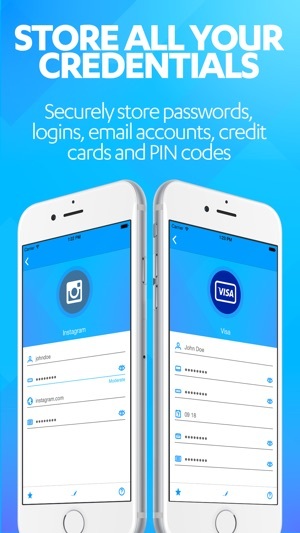 With KEY, you can store all your passwords easily in one wallet, securely and privately, and generate strong, unique passwords whenever you need to. IS IT SAFE TO HAVE ALL MY PASSWORDS AND PIN CODES IN ONE PLACE? Yes, with KEY. All the data is encrypted, and the only way to access it is with your Master Password, even F-Secure cannot access your data. KEY is completely anonymous so you cannot be anyhow linked to your data. WHERE IS MY CONFIDENTIAL DATA STORED? All the data is encrypted and stored both on your device and on our servers hosted in Finland, Europe, under European data protection laws. CAN ANYONE ELSE ACCESS MY DATA? The only way to access your data wallet is to enter your Master Password on one of your devices. Without both of these, it is impossible to access it. F-Secure KEY does NOT have the means to recover the Master Password because we want to increase the security level to maximum. Recovering would mean that we would need to have a way to access your data. • Autofill passwords on iOS 12. Have used this app for a few years. Worked great until I upgraded to an iPhoneX. Then once I enabled FaceID it crashed constantly. Whilst everything works fine now, the app for the last 2 weeks was unusable. Otherwise it’s been a pretty good few years of use. 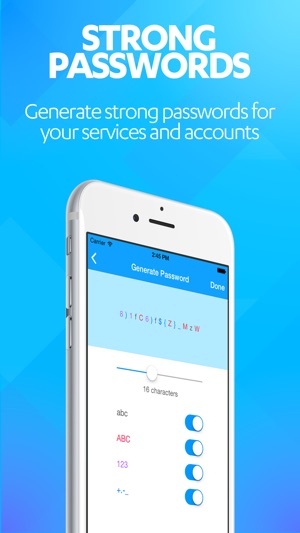 This password manager is like a combination product of both online and offline password management. Love using it, and I trust F-Secure as a company.